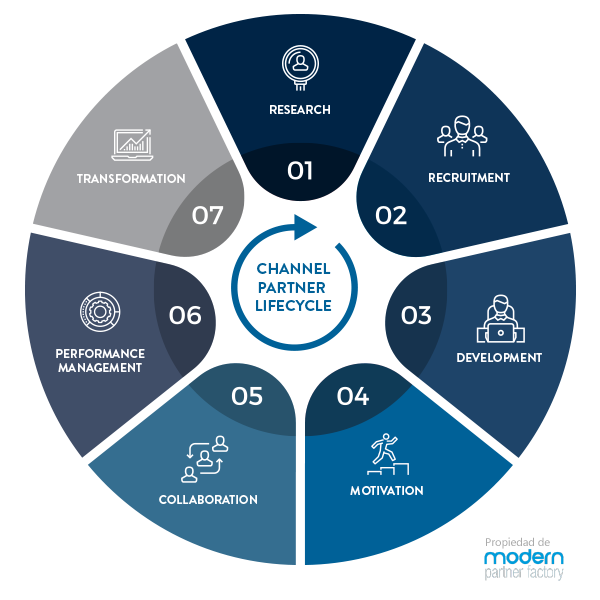 Modern Partner Factory is an independent consultancy specializing in modernization of distribution channels, business processes and digital marketing in B2B environments. We serve software manufacturers. We design strategies and actions adapted to different business segments (Corporations, SMEs, etc.) and distribution channels (Solutions, Cloud, OEM/Retail…). 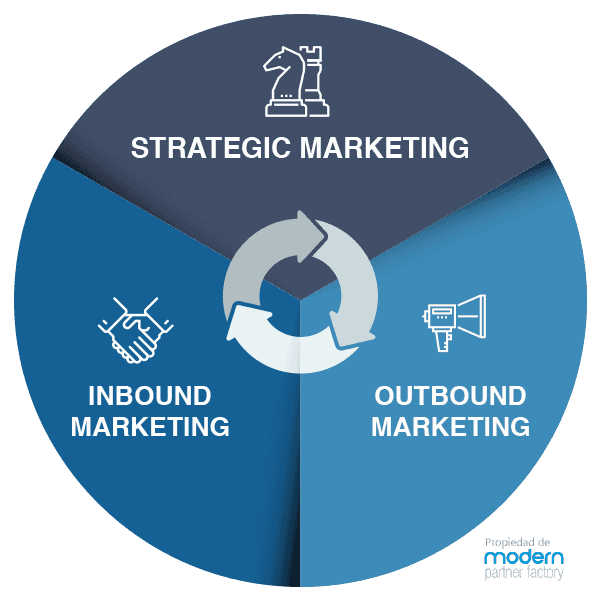 Over ten years’ experience participating in the execution of campaigns with the main Channel, Marketing and Sales Departments of leading IT manufacturers. Our excellent results are based on an in-depth knowledge of the technology industry, a team of highly qualified professionals and our proprietary, efficient methodology. We help you adopt a model in which traditional and digital tactics can coexist, with the help of technology. We help you with your strategy, execution and technology throughout all the Partner Lifecycle phases. Our aim is to help IT solution manufacturers analyze and define their sales model; to find and recruit the best partners; to transform and modernize their partners’ sales processes; as well as to define and execute marketing plans to generate demand, increase sales opportunities and make their business grow. What is Modern Partner Factory? Modern Partner Factory is an independent consultancy specializing in modernization of distribution channels and digital marketing in B2B environments.